The workshop is organized jointly by UNSD and the World Tourism Organization and will be hosted by the Philippine Statistics Authority and the Department of Tourism of the Philippines in Manila on 19-20 June 2017. Representatives of national statistical offices of 13 developing countries, mostly from the region, will participate in the workshop. Experts from developed economies and international organizations will share their experience on the implementation of Tourism Satellite Account (TSA). The purpose of the workshop is to explain what a TSA is, how it can be used for national tourism policies, and what the challenges are to compile it. The TSA provides a coherent framework to integrate and analyse the variety of economic statistics relevant to tourism, both on the supply (industry) side and on the demand (tourist) side. The TSA also provides an economic measure of the importance of tourism in terms of expenditures, GDP and employment which are comparable with similar measures for the overall economy. The Workshop Developing National Systems of Tourism Statistics: Challenges and Good Practices is organized by the United Nations Statistics Division (UNSD) in collaboration with the UN World Tourism Organization (UNWTO), the Interstate Statistical Committee of the CIS (CISSTAT) and National Bureau of Statistics of the Republic of Moldova. The Workshop is hosted by the National Bureau of Statistics of the Republic of Moldova in Chisinau, Moldova between 29 June and 2 July 2010. 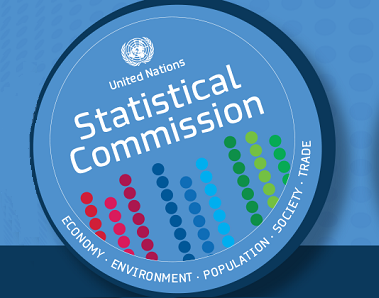 The objective of the workshop is to assist countries in strengthening their statistical capacity in the area of tourism statistics by training them in the International Recommendations for Tourism Statistics 2008 adopted by the United Nations Statistical Commission at its 39th session in February 2008 as well as by providing advice on practical issues of the implementation. The training will focus on both the conceptual issues and good practices in organizing and improving the national programmes of tourism statistics under various country specific circumstances. The workshop aims also to promote and facilitate the inter-agency cooperation to ensure that tourism statistics is compiled in an integrated and efficient way and the disseminated data serve the needs of national tourism agencies, national statistical offices and central banks in the best possible way. The objective of the workshop is to train representatives from national statistical offices, national tourism authorities and central banks from the South East Asian countries on methodological development of tourism statistics and also the current country-practices in compiling tourism statistics. The training will focus on both the interpretation of conceptual issues and options for the implementation of the international recommendations in country specific circumstances and facilitate the establishment of a network of statisticians in the South East Asian countries working on tourism statistics. The joint UNSD/UNWTO workshop on tourism statistics is seen as a major event in the context of a worldwide consultation on revision of Recommendations on Tourism Statistics approved by the 27th session of the United Nations Statistical Commission in 1993 and issued jointly by the UN and the UNWTO in 1994. The revised Recommendations will be submitted to the 39th session of the Commission (March 2008) for approval. Representatives from national tourism organizations, national statistical offices and international/regional organizations will be invited and asked to provide their assessment of the relevance of the 1993 Recommendations, indicate areas where revision is needed and to make concrete proposals regarding revision of specific recommendations. The main tasks of the workshop include: (i) to review current country practices in compilation of the basic variables of tourism statistics and their relevance to current user needs; (ii) to review the existing 1993 Recommendations in the context the amendments incorporated in Tourism Satellite Account: Recommended Methodological Framework to ensure that the improved basic tourism statistics better serve the needs of economic policy makers in governments, of industry managers, of the business community and, at the same time, provide a solid foundation for the national accounts in general and for the compilation of the Tourism Satellite Account; (iii) to create a network of tourism statisticians working in different institutional environments in order to foster the exchange of country experiences and the formulation of good practices in the compilation of such statistics; and (iv) to advise on institutional arrangements between different national agencies active in tourism statistics.